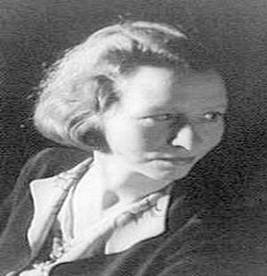 Millay was born in Rockland Maine to Cora Lounella Buzzell, a nurse, and Henry Tollman Millay, a schoolteacher who would later become superintendent of schools. Her middle name derives from St. Vincent's Hospital in New York, where her uncle's life had been saved just prior to her birth. In 1904 Cora officially divorced Millay's father for financial irresponsibility, but they had been separated for some years prior. Struggling financially, Cora and her three daughters Norma, and Kathleen — moved from town to town. Her writing career; In New York she lived in Greenwich Village. It was at this time that she first attained great popularity in America. She won the Pulitzer Prize for Poetry in 1923, for The Harp-Weaver, and Other Poems. She was the first woman to be so honored for poetry. "In 1943 she was awarded the Frost Medal for her lifetime contribution to American poetry. She was the sixth recipient of that honor, and the second woman. I being born a woman and distressed; The speaker, a woman, is overwhelmed by her feelings and desire for a certain man with whom she has presumably had a sexual experience. She is addressing him regarding what will happen when they next see one another, the “will you still love me tomorrow,” but turned around.